Is there a link to the slide? Hi, I think that ADAM library is cool. Congrats for the developers. I would like to know that whether Spark would be a good option for De novo assembly of genome? Anybody can answer this question? If anybody can reply,... Read More. Hi Ankur, pls provide me sensor data for my research in big data mining. Learn from experts at leading companies how best practices in data-informed decision-making, design-first thinking, and culture can transform your business. Co-located with Strata + Hadoop World, Cultivate is limited to just 200 seats. Explore intensive Training Courses in Advanced Apache Spark, Building Big Data Applications, Data Science on Hadoop. 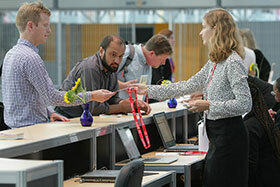 Check out new business sessions in the Data-Driven Business and Business & Innovation tracks. The future belongs to those who know how to use data.